Roger Guérin was recognized as one of the best French trumpet technicians. 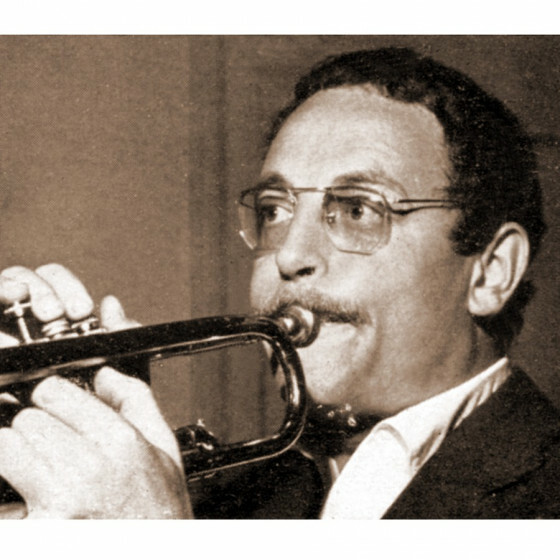 Without having the extraordinary means of a “natural” trumpet like Aimé Barelli, he easily surpassed most of his comrades by how easily he controlled the sound of his trumpet, its sonority, and by his power and purity in the higher ranges. Not that he was a specialist of the high notes, like his friend lead trumpet Fred Gérard. He was rather a balanced trumpet player, able to use his instrument in all its possibilities, and although he did not tease the high G with the same ease as Gérard, he was much superior in the lower end, where the roundness of his tone allowed him to blend perfectly among trombones and saxophones. He was born January 9, 1926 in Sarrebruck. His father screened films on tours, but he took more after his grandfather, who was a violinist—an instrument Guérin played since he was eight and wouldn’t abandon completely until his teenage years. Meanwhile, however, when he turned eleven, he joined the popular band of Beynes, at Seine-et-Oise, where he played the solos, first on trumpet and later on cornet, in a mostly traditional repertoire which included marches. By the time he was sixteen World War II was underway, and his family had moved to the free zone. There, by listening to the program “De jazz en jazz,” he took a taste for improvisation. The radio introduced him to Django Reinhardt, Alix Combelle and Jerry Mengo, and although isolated, he worked through a method, improvising his first choruses in his room. He kept at it alone for two years until he met pianist Jacques Denjean, who gave him advice, and sometimes played with him. The Liberation came, and Roger Guérin got his first paid job by playing in an orchestra that gave balls on Saturdays. “We never did jazz,” he said, “except to get out the clients at the end of the night. Then around 4 o’clock, we were attacking The Sheik, and at 4:10 am, the room was empty!” In 1947, his military service in Metz allowed him to take trumpet lessons at the Conservatoire. It was about that time that his friend saxophonist Teddy Hameline encouraged him to go professional, and suggested Guérin to Aimé Barelli, who engaged him against the opinion of most of his musicians. Guérin played with Barelli for a year, and then left to continue his studies at the Conservatoire with trumpet teacher Raymond Sabarich. While studying, Guérin was invited to join a band organized by pianist and arranger Claude Bolling to accompany American trumpeter Rex Stewart in a series of concerts and recordings that would take place in February 1949, while Stewart was in Paris. Guérin then moved to the popular cabaret Rose Rouge, where he met clarinetist Maurice Meunier and saxophonist Michel de Villers. Around that time he also played with Don Byas. In April 1949 the Conservatoire honored him with the Best Trumpet Player award, and in 1950 he won first prize on cornet, all while holding the position of first trumpet in the Tony Proteau 19-piece orchestra, which was a pioneer in playing modern jazz arrangements in France. 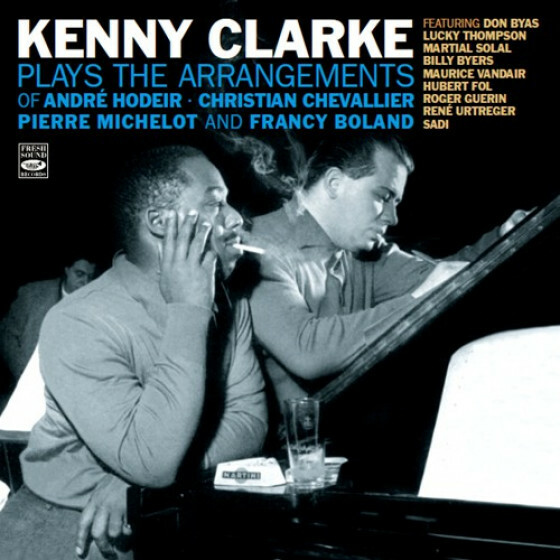 Notably, the band’s drummer was Kenny Clarke, the foremost bebop innovator of the bebop style of drumming. In a short time Guérin had managed to earn the respect of the local jazz scene. His promising performances led to his first important recording date in July 1951, as a featured soloist on a quintet session under the leadership of James Moody. The American alto and tenor saxophonist had been living in Paris for almost three years, and had become a familiar face in most of the local venues. From then on, Guérin continued to expand his professional activities with records and varieties while maintaining daily contact with the world of jazz—he was a regular at the Saint-Germain-des-Pres club, where he played with pianist Bernard Peiffer and reedman Bobby Jaspar. Later, he would join again, in succession, the Tony Proteau and Aimé Barelli orchestras. 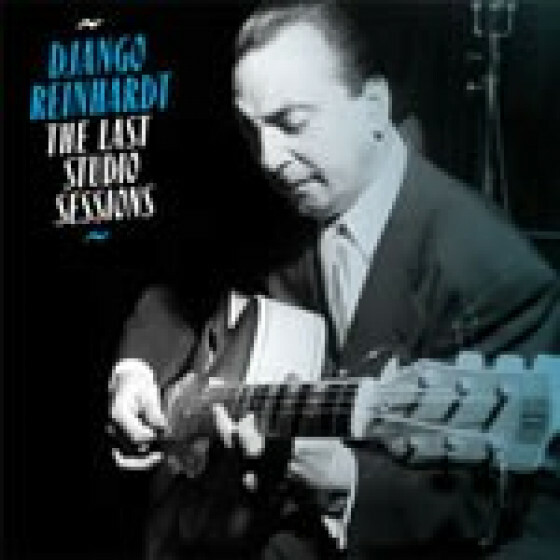 From January 1952 and for more than a year, he played and recorded with Django Reinhardt’s quintet and with the Tony Proteau orchestra that accompanied Dizzy Gillespie at the Rex Theater in February 1953. For the second half of the year, he toured and recorded with the orchestra conducted by drummer Gerard “Dave” Pochonet. 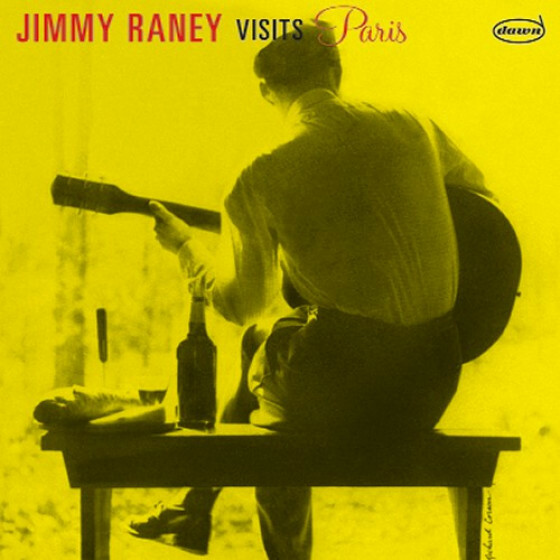 It was a mid-winter’s day, 1954, when the French jazz publication “Jazz Hot’ came out with their jazz poll results, and Jimmy Raney was voted “Number One Guitarist.” That same evening, the Jazz Club U.S.A. tour played a one-night stand in Paris. One of the featured groups was the Red Norvo Trio, which included poll-winner Raney. After the concert, a group of musicians gathered informally at Club St. Germain. Raney listened, and sat in. He was impressed with what some of the modern jazz-minded musicians were playing —particularly with the tenor sax improvisations of Bobby Jaspar, and with trumpeter Roger Guérin. As a matter of fact, Raney was so enthusiastic about what he heard, that when the Jazz Club tour ended in Switzerland, he returned to Paris for a brief holiday. Needless to say, the French contingent was as happy to have Raney as their guest as Raney was to be there, so much so that some of the guys decided to do a record date. A couple of days later, twelve tunes were cut with Raney, Jaspar, Guérin, and a rhythm section made up by Maurice Vandair (piano), Jean-Marie Ingrand (bass) and Jean Louis Viale (drums). 1954 was set up to be a busy year for Guérin in the studios. 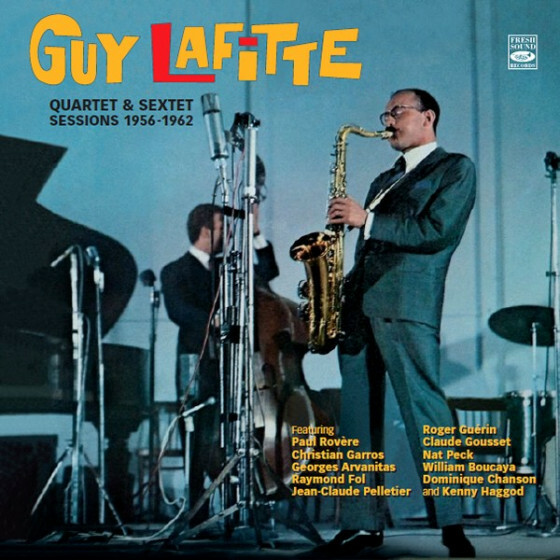 He was already a first call trumpet, and recorded both with orchestras and smaller groups led by Gerard “Dave” Pochonet, Jack Dieval, Bernard Zacharias, Bernard Peiffer, “Fats” Sadi, Raymond Beau, Maxim Sauri, Jonah Jones, and particularly with Bobby Jaspar’s excellent New Jazz group. 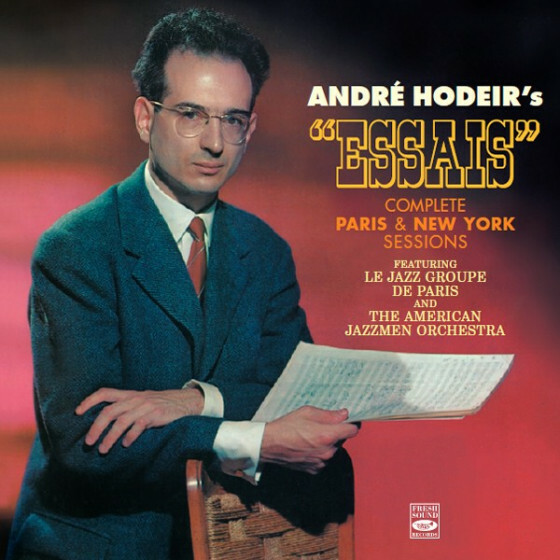 In the fall of 1954 he also became one of the founders of Le Jazz Groupe de Paris, a collective of prominent jazzmen organized to play the experimental arrangements of its leader André Hodeir —one of the world’s most literate composers and working critics in the realm of jazz. Le Jazz Groupe de Paris included such musicians as Bobby Jaspar (tenor), Pierre Michelot (bass), Nat Peck (trombone), Armand Migiani (baritone), Jean Liesse (trumpet), and Sadi (vibes), among others. Guérin was also a good singer, an artistic facet that led him to join the Blue Stars— the wellknown vocal group directed by the talented singer and pianist Blossom Dearie, who chose experienced jazz musicians for her vocal octet such as Sadi, Christian Chevallier, Jean Mercadier, and Roger Guérin. 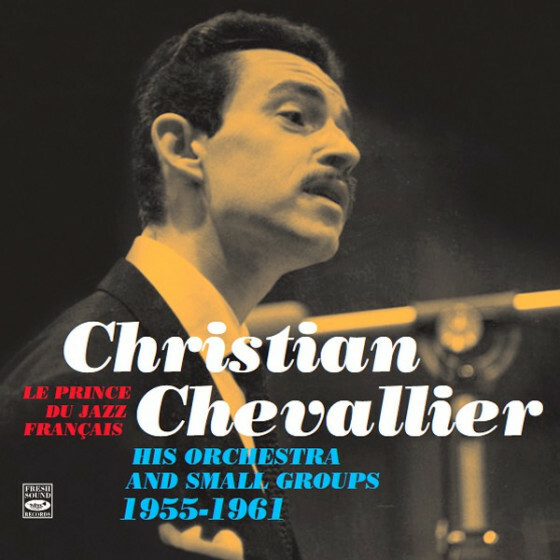 In the Spring of 1955 Guérin began a long association with composer, pianist and bandleader Christian Chevallier, who was also considered the best jazz arranger in France. Under his direction, and as a member of the brilliant trumpet section in the first post-war big band in France, Guérin went on to record some excellent albums. In April 1956, Guérin joined Jean-Louis Chautemps, tenor sax, Jacques Hess, bass, and Charles Saudrais, drums, in the quintet of pianist Henri Renaud that played in the club Le Camaleon, and by July Guérin was making his first recording as a leader. A quartet integrated by Guérin, Martial Solal (piano), Pierre Michelot (bass), Christian Garros (drums), and Dave Rivera (conga). In addition to his activities and recordings as a jazzman, with Kenny Clarke, Claude Bolling, and Martial Solal, Guérin proved to have an enormous capacity to play surrounded by a big orchestra with strings attached. This versatility is what led Michel Legrand to call him when he was in need of a trumpeter for his 1957 award-winning effort “The Columbia album of Cole Porter”, where the trumpeter played one of his favorite solos on Cole Porter’s I Love You. The following year he traveled to Moscow with Legrand’s orchestra to play at the Festival of Students and Youth. 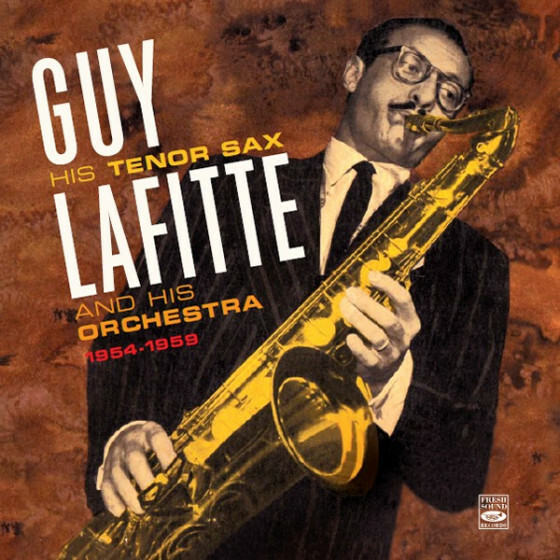 On October 1957 Guérin took part in the Barclay sessions with arranger Quincy Jones, and he also traveled to Germany with André Hodeir’s Jazz Groupe de Paris, which had become one of the most sought-after jazz bands in Europe and had been invited to perform at the famous Donaueschingen Festival along with the Modern Jazz Quartet. Looking for different sonorities, Guérin sometimes left the trumpet for the baritone horn, which he used in Henri Renaud’s orchestra, and also played the flugelhorn to record with Christian Chevallier’s tentette. 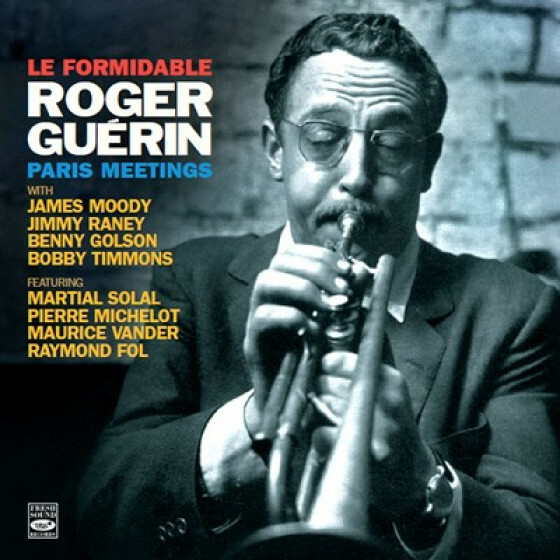 Roger Guérin’s progress was made obvious when he was elected for three consecutive years (1955-56-57) as the winner in the best trumpeter of France poll made by the readers and critics of the “Jazz-Hot” magazine, a title he would hold keep until “Jazz Hot” stopped holding the poll in 1965. George Wein, founder of the world famous Newport Jazz Festival, had the idea of creating an International jazz band for the 1958 festival. To choose the members of the orchestra, Wein traveled to Europe and auditioned in seventeen countries. He finally decided it would be Roger Guérin who should represent France. And so he joined the band’s trumpet section with Palle Bolvig (Denmark); Dusko Gojkovic (Yugoslavia) and José Manuel Magalhais (Portugal). With under a week of rehearsal, the band made its debut on the Arthur Godfrey TV show. A few days later, it played for a gathering of critics and jazz writers. As the band whipped into shape, it moved up to Newport for its final week of pre-Festival rehearsal. It played two sets at the Festival, on the afternoon of Friday 4th and on Sunday 6th, in the evening program. 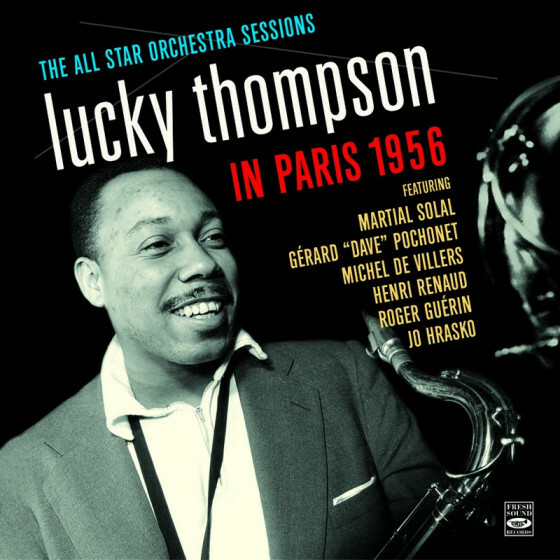 An album from these performances was issued on the French Columbia “Jazz Star Series,” and Guérin was heard as soloist on two tunes, Swingin’ the Blues and The Newport Suite, Opus 24. The band didn’t fold after the Festival, though. Instead, it played another TV show, then left for a string of one-nighters in Europe, climaxed by a week at the U.S. Pavilion in the Brussels World Fair. In December 1958, when Louis-Victor Mialy, Pathé-Marconi’s producer, learned that Roger Guérin had just been awarded with the Prix Django Reinhardt, he didn’t miss a beat; he grabbed Roger’s phone, and called the trumpeter and asked him to come and make a record with his musicians of choice. The details prior to the recording were described by Michel Netter in the liner notes of the album. “Guérin had to think harder,” wrote Netter. “Opening his address book, he noted the numbers of his friends Pierre Michelot and Christian Garros; he was going to continue looking, when an idea came to him: why not call on stars of the Jazz Messengers. He had seen their extraordinary performances at the Olympia and the Club Saint-Germain, after all, so he knew they were available. In April 1959, Guérin played in the Martial Solal quintet at Club Saint-Germain, with Claude Fohrenbach (tenor), Paul Rovère (bass) and Daniel Humair (drums). That same year, he sang with the Double Six. In 1960, he replaced Clark Terry in the Quincy Jones orchestra that played in Switzerland. In February 1961, he joined a quartet in Montpellier with Bud Powell, Pierre Michelot and Kenny Clarke, then moved to Antibes with Michel Hausser. Guérin loved festivals because they allowed him to be in touch with his American colleagues. In December 1961, he recorded with the Kenny Clarke-Francy Boland Big Band. That same year, he also worked on the soundtrack for the film Paris Blues. Beginning in the 1960s, the continued appearance of other musical styles caused the record industry and part of the audience to move away from what was happening on the jazz scene. That change from what had been happening in the 50’s meant that many jazzmen had to alternate their jazz jobs, and play other musical styles more in line with the trends of the time. However, Guérin, like many of his colleagues, continued to be very much in the jazz scene, playing in concerts and festivals in France and in Germany, and recording several jazz albums of different styles, both as part of groups and big bands, under the leadership of Martial Solal, Clarke-Boland, Pierre Michelot, Boulou Ferré, Les Baroques, Jean Giraud, Jean Constantin, Jeff Gilson, Daniel Janin, Raymond Fol, Ivan Jullien, Jean-Claude Naude, Claude Bolling, André Hodeir, Jacques Dieval, Bill Coleman, Kenny Clarke, and Philly Joe Jones. Aside from dedicating a major part of his extensive career to jazz activities, Guérin worked in other fields of the music business, and devoted himself to teaching from 1968 until 1990. He remained active until his accidental death at 84 years old, on 6 February 2010 at Saintes-Maries de la Mer. He drowned around 4 am in a small canal close to his house.